Why Should You Buy iPhone X – And Why You Shouldn’t? It has been over two months since Apple launched iPhone X but the verve is still alive in the people who could not buy this product yet. Apple added some new features to this model. Some people liked those changes, while some disliked them. The design is the most prominent highlight of iPhone X. With a sleek body which is covered with stainless steel, it is one of the most fantastic looking smartphones by Apple. Its simplistic design and petite body are what catch your eyes. With an OLED display that is 5.8 inches in dimensions along with a crystal-clear result, the iPhone is now officially the best brand in display quality. With a screen resolution of 2436 x 1125 pixels, you can expect the finest image quality that you’ve ever experience. Keeping up with its tradition of making excellent camera smartphones, Apple once again stands true to its name this time again with its “True Depth Camera System”. The smartphone is integrated with a 12 MP dual camera that produces crisp and sharp images. The Face ID mechanism is also connected to the camera and it instantly checks the face of the user in order to grant or deny him the access to the phone. With Face ID, Apple comes up with a unique authentication that was never tried before in the smartphone market. With this feature, there will be added security to your phone as no other person will be able to access your phone illegitimately. 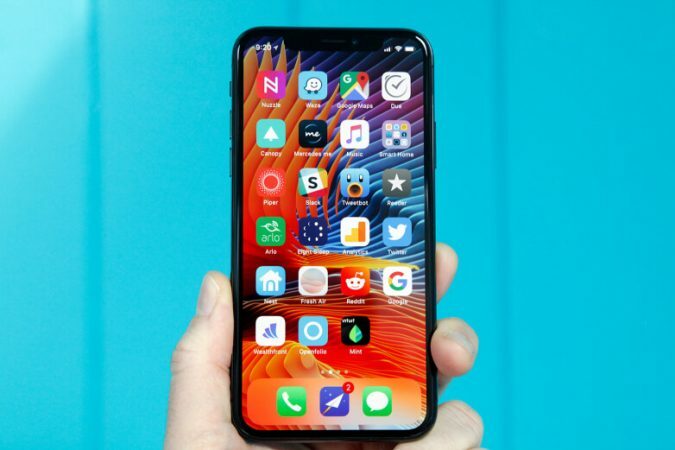 Contrary to the rumors, the Face ID is doing perfectly well and except for a few cases, there is nothing seriously wrong with this technology. iPhone X comes with “wireless charging” feature which makes life easier for the users. It hardly takes an hour to charge your phone. The impressive battery life of 21 hours deserves a mention here. With a weight of 6.14 oz., this sleek phone doesn’t feel heavy in your hand. It is more lightweight than iPhone 8 Plus. So you can easily carry it around with ease and check your notifications at the same time. At $100000, it is one of the most expensive smartphones of recent time. It could be a serious matter of concern for the working students who have to work in part-time to afford their studies and other costly affairs, such as paying for essay writing service. So those guys have to definitely give it a second thought. The glass body of iPhone X makes it vulnerable to a breakage from a fall or collision. Definitely, the price tag is going to send mental alerts to a big chunk of people. But if you really are a smartphone junkie, then this risk is worth taking. The inclusion of so many new features means that you need a tutorial to use this new iPhone. Whether it is the change of buttons on the phone, or unlocking an app installation, the many new features in iPhone X requires a workshop before you can learn them. The good news is that iPhone provides a tutorial for the users to learn about the new changes. iPhone X can be the ultimate smartphone for anyone who wants to make a fashion statement and enjoy the features of a smartphone in its true sense. The high price tag of this Apple product is the only thing you need to be concerned about. But if you can afford it, then it definitely deserves your bucks. How to Build a Better Mobile App?